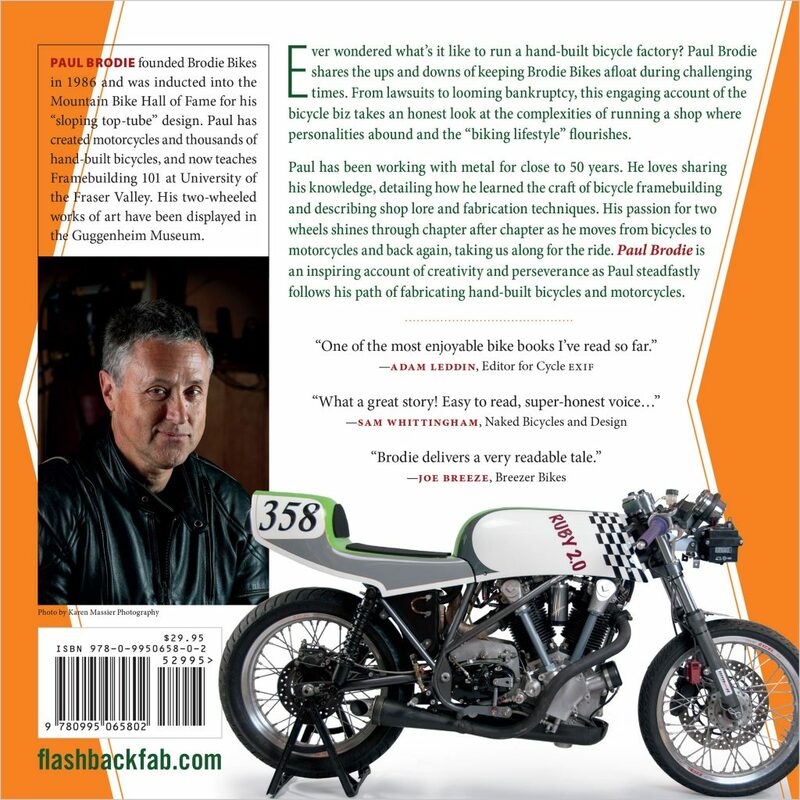 Book 2016 - Flashback Fabrications Ltd.Flashback Fabrications Ltd. AVAILABLE FOR PURCHASE ON AMAZON.CA (CANADA), AMAZON.COM (ALL OTHER COUNTRIES) AND ON PAYPAL. BELOW ARE A FEW OF THE INITIAL REVIEWS OF PAUL’S BOOK. “Silly Paul Brodie. 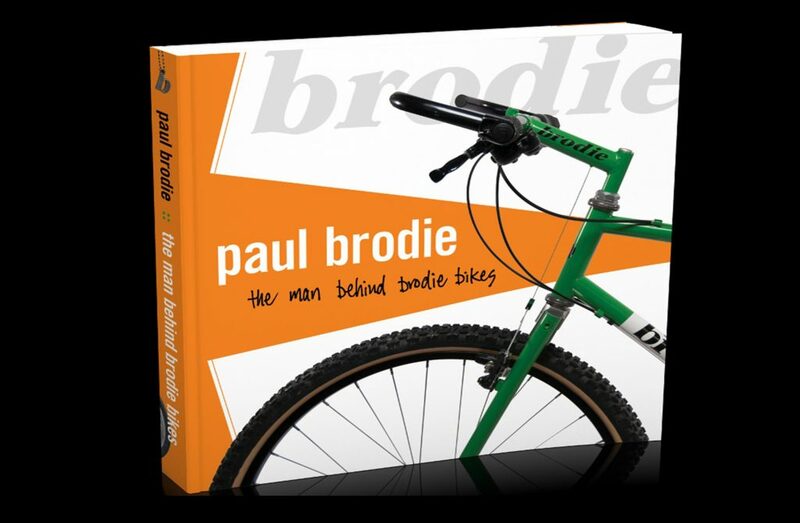 He asked me to write a few sentences to hype his new book, Paul Brodie, The Man Behind Brodie Bikes. Impossible. While I’ve known of Paul Brodie for over two decades and still recall unpacking the beautiful steel bikes that would show-up for us to test in the early days of Mountain Bike Action, I never really knew him. Before reading his book, I had already come to realize that the soft-spoken ‘Canadian’ was a genius which was made obvious by the new/old bikes he would exhibit at the North American Handmade Bicycle Show. Better still was when I found out that Paul was not just a pedal guy, but a throttle twister as well. And in the vein of the late, great John Britten, Paul too had a visionary, inventive, can-do sense about him that defied the typical, human condition (think also Leonardo DiVinci!). And then I read the book and can say that it is one of the best bicycle industry books I’ve ridden since No Hands: The Rise and Fall of Schwinn Bicycles. But more than that, from the days he hand painted ‘6X’ on the number plate of his handmade mini-bike to his eBee electric bike and, of course, the Excelsior race bikes, the book lays out the example of a sensitive, dedicated man who lives not for any greater glory of fame and fortune, but who, with his inherent sense of imagination and craftsmanship, seeks to extol the beauty and practicality of all things two-wheeled. Congratulations, Paul, on a vibrant life well lived and for minding all the details so well.” —Zapata Espinoza, editor-in-chief of Road Bike Action Magazine.